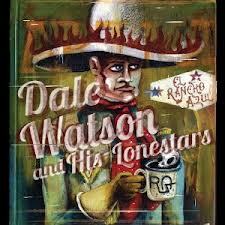 Hall of the Mountain King: Review: Dale Watson & His Lonestars, "El Rancho Azul"
Review: Dale Watson & His Lonestars, "El Rancho Azul"
If anyone can be said to be the “godfather” of the underground traditional country movement, it would probably be Dale Watson. Though he released his first album in 1995, his roots in music go much farther back, as does his sound. He’s got the style, story and look of the classic country artists, and he’s damned proud of it. And that’s one of the most endearing things about Watson. Aside from the fact that he’s a great musician if you love old-school honky tonk-style music. He has a great sense of humor and is capable of some of those witty turns of phrase that always make you smile when you come across them in classic country. That humor is apparent on El Rancho Azul in a number of songs, but particularly “Where Do You Want It?” A live staple for several years, the song was written about an incident in which his friend and fellow country singer Billy Joe Shaver shot a man in a Texas bar. Witnesses said that, before he shot the man, Shaver asked him “where do you want it?” Shaver has denied the claim and was found not guilty of aggravated assault in the case, but he gave Watson his blessing to keep performing the song. Whitey Morgan and the 78s made the first recording of the song, but Watson has followed on his new record with a twangier, more traditional version that’s still addictively catchy. El Rancho Azul delivers just what you expect from Watson: honky tonk sounds, copious consumption of alcohol, heartache and humor, all wrapped up in a very traditional package. Classic drinking songs are the first order of business on this record. The best of the bunch is “I Lie When I Drink,” a classic country drinking song with a little touch of Texas swing that finds the subject of the song in the familiar country territory of sitting on a barstool trying to drink away the memory of the woman he lost. “Thanks to Tequila” riffs on The Champs’ “Tequila” as Watson outlines a series of mishaps that occurred thanks to tequila. “Drink, Drink, Drink” takes a fun sing-along style approach to the theme. Of course, Watson sometimes gets the girl. “Give Me More Kisses” opens with a very Jerry Lee Lewis-like piano run and an old-time rockabilly beat that would make the Killer proud. “We’re Gonna Get Married” has an enthusiastic husband-to-be inviting everyone to his wedding. Too bad you know on Watson’s next record that same guy will probably end up in a bar drinking away his sorrows like the other poor saps on this album. On the album’s first single, “Daughter’s Wedding Song,” Watson shows a more sensitive side. The tune was written for a couple that asked him to do something for the father-daughter dance. I can’t really relate to it personally, having only a son who is nowhere near marrying age, but I’m sure there are plenty of folks who will. And what would a honky tonk be without dancing? There’s plenty of that to be had. “Cowboy Boots” opens with a play on “Happy Trails” before cranking up into a good-timing tune about women in cowboy boots. The companion pieces “Quick Quick Slow Slow” and “Slow Quick Quick” provide the two-step options for the album. El Rancho Azul provides just what fans have come to expect from Watson. 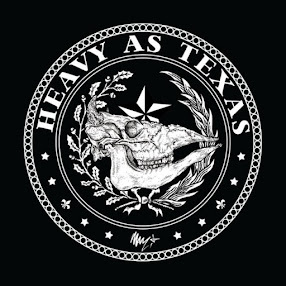 It’s filled with memorable songs that are deeply rooted in the traditional country of the Texas honky tonks, and it’s great fun. You’ll leave the album feeling a lot better than you did when you put it on, and I’d highly recommend it for those out there who think old-fashioned country is depressing music for old farts and jackasses.